1.00 2015-04-29 Grauw Initial release. 1.01 2017-10-21 Grauw Fixed stray drum at the start of some tracks. Removed unused YM2413 from tracks 49 / 50. Corrected date format. the OPLL + PSG ! Fray in Magical Adventure and Illusion City. 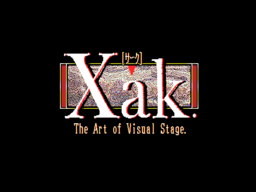 the vgmplay-msx source code repository.